Will The Moto-Taxi Trend From Indonesia Take Off In M'sia? This Startup Is Betting On It. The idea of riding a motorcycle absolutely terrifies me. I liken the feeling to heading straight into a war with no armour on. That is the paranoia I feel whenever I think about sitting anywhere on a motorcycle, especially with the traffic conditions in Klang Valley. My fear is not based on senseless worry. According to a report by The Sun, there were 6,706 deaths on Malaysian roads in 2015 which is an average of 18 a day. Out of all the fatalities, 62% involved motorcyclists (3,816) and pillion riders (387). The number is likely to have seen a rise since then. However, I can’t deny the envy I feel during those rush hours when I’ve been stuck on the road for at least an hour while motorcycles zoom right by. Moto-taxis have already made their presence felt in neighbouring countries like Indonesia and Vietnam, but it’s yet to take off in Malaysia. However, Dego chief executive Nabil Feisal Bamadhaj hopes for that to change. 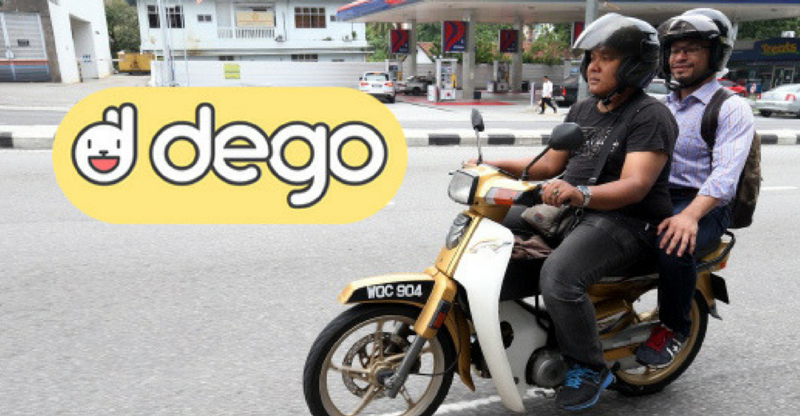 Dego Ride is a ride-booking service that connects customers to motorcycle taxis. What they promise is to help people get around quickly past rush hour traffic by riding with their motorcycle couriers. The fares start from RM2.50 for the first 3KM and every kilometre from that is charged RM0.60. They cover the next 10KM from the pick-up point. As an added service, the passenger gets a clean hair net and a helmet as well for protection. Just to avoid any confusion, unlike the car-based ride-hailing apps Uber and Grab where the passengers are called the “riders”, Dego refers to their “drivers” as Riders. 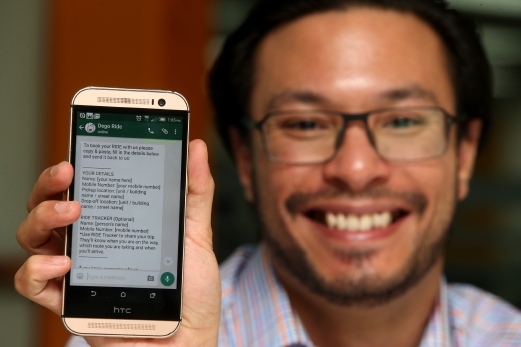 They’re also unconventional in their request method because instead of an app, passengers need to send the word “RIDE” to a certain number over WhatsApp. Afterwards, Dego will reply with a booking form for the passenger to fill in with details and specific requests such as the gender of the Rider. Upon confirmation, passengers will receive an SMS notification that a Rider has accepted their booking request. Information regarding the Rider and his estimated time of arrival will be sent to the passenger. Dego tries to get the ride to arrive in about 5 to 15 minutes. Alternatively, passengers can fill in the booking form on their website to get a ride. According to Nabil, there is an app in the works and it will make its appearance soon. Nabil also clarified that no regular joe can become one of their Riders. Besides having a full B licence and no prior police record, the motorcycle will also need to go through a physical bike check. The Rider must be at least 21-years-old. Aside from Dego Ride, Dego also runs a courier service called Dego Send which uses a same-day pickup and on-demand delivery model. Their rates are quite comparable to some of their competitors as their base price starts at RM7 in comparison to MatDespatch that starts at RM9 and ZeptoExpress that starts at RM10. 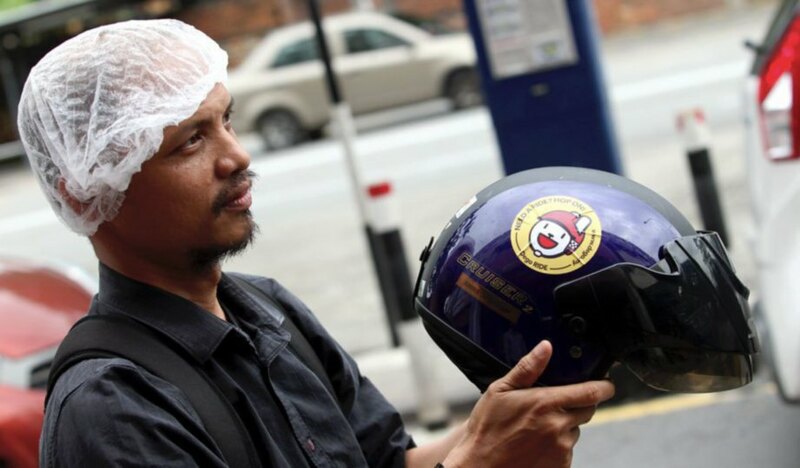 According to Nabil, Dego has about 5,500 bikers working deliveries while Dego Ride complements the business. When I had first heard about Dego Ride, the main issue I had with this service was safety. Being on a motorcycle means you’re subjected to more risk than a car due to less physical protection. However, Nabil believes in the opposite as he said it was riskier being in cars due to a higher risk for drivers to do unwanted things to women passengers. “We may not have a consumer app available yet but we do have every one of our Riders on our own administration app. We can track every single movement and replay it for any concerns raised to us if should there be any issues since we do courier services and expanded into transportation as well,” said Nabil to Vulcan Post. There have been times when male passengers requested for female Riders but due to safety concerns, male Riders would be sent instead. All bookings are taken into consideration as Dego monitors the jobs in real-time from their headquarters in Kuala Lumpur. Nabil clarified that passengers are given insurance coverage of up to RM500 and he is still on the hunt for a more comprehensive policy. Most of Dego’s passengers are local and 70% of them are comprised of women, based on his observation. The reasons he cited for this was because it was cost and time efficient. Nabil also thinks it’s because men tend to have their own vehicles that they don’t use the Dego Ride service as regularly. As mentioned earlier, moto-taxis have already made their way across South-East Asia. Go-Jek which is Indonesia’s biggest motorcycle taxi service gets about 200,000 transactions a day. However, this service has yet to take off in Malaysia as cars have been dominating the private ride industry. According to Association for the Improvement of Mass Transit adviser Moaz Ahmad, part of the reason could be because outside of the city centre, offices and other buildings tend to be far apart from each other. “They probably haven’t started in Malaysia because we don’t have the same level of congestion as in Jakarta, and we don’t have the same kind of local trips as cities in Vietnam,” said Moaz. But as traffic continues to worsen, perhaps this service will begin gaining traction. In a test ride that The Star had done, a cruise in and out of the KLCC area took about five minutes. This would have been at least four times longer to complete should the journey have been done by car during rush hour. “The government is supportive in allowing us to provide our services to the people of Klang Valley and other parts of Malaysia and we’re keen to work with the authorities on any matters they have,” said Nabil. Nabil is no stranger in working with motorcyclists. 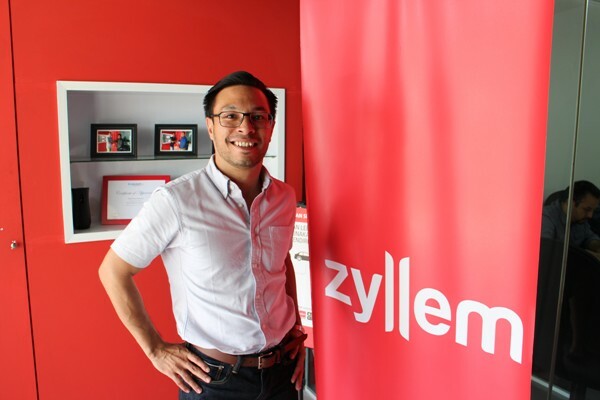 His previous venture as Zyllem’s country head manager gave him enough experience to understand the industry well. Rather than seeing it as a change in business model, Nabil sees Dego as an expansion of their services and business from the usual courier service involving motorcyclists. “We provide more options for Malaysians based in Klang Valley to make a full time or part time income as we now carry passengers as well as parcels,” said Nabil.